THURSDAY was Careers Night in De La Salle, Churchtown and they invited me back to the old school to champion the merits of sports journalism. Little did they realise it was only after failing at several other careers I ended up in this thankless trade, and hardly a day goes by without me wondering what might have been. I also have an Ivy League degree in biology, you know. After leaving the cream of scholarly America behind me – as in rich, and thick – it eventually transpired that sport, and more specifically athletics, would probably see me through until the end. If I never made a penny from all those years of running, I may as well make some money writing about it, or at least pretend I learnt something while on scholarship in America. So, after knocking on countless doors, the Sports Editor in here agreed to give me a work placement – and 12 years later I’m still here (he has promised to start paying me one of these days). It quickly became apparent that in sports journalism, like in acting, the work doesn’t come to you, but rather the other way around: anyone trying to make it in this business better stand up there and be creative. One of my first proposals was to retrace the American scholarship route, the product line of so many famous Irish distance runners, and with that in mind booked a flight to New York. The plan was to take in the Millrose Games, then visit Marcus O’Sullivan, who had just been appointed head coach at Villanova, his alma mater, about 12 miles outside Philadelphia. 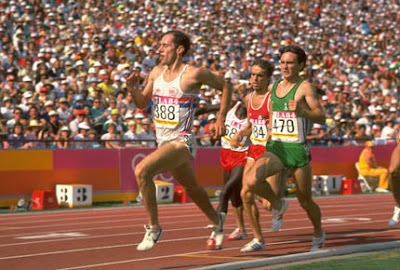 It was January 1999, and O’Sullivan had taken on possibly the most famous distance running programme in America, which not only helped produce Irish champions such as Ronnie Delany, Frank Murphy, Eamonn Coghlan and Sonia O’Sullivan – plus of course O’Sullivan himself – but also 32 American Olympians and 50 world record holders, mainly under the tutelage of Jumbo Elliott, head coach for 47 years until his death in 1981. By cosmic coincidence, O’Sullivan was back in Ireland this week, on what is loosely termed “a recruiting trip”, and we chatted once again about the issue of American scholarships. It’s now his 13th season in charge of Villanova, and while O’Sullivan has helped rebuild the programme to its former glories, there’s not a single Irish athlete on his roster (unless we somehow include his son, Chris, a runner too, in his first year at Villanova). 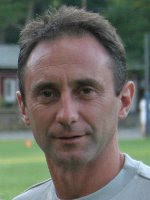 Although he remains enthusiastic about recruiting young Irish distance runners, O’Sullivan admits the scene has changed, considerably so – not just in America, but in Ireland too. “America is still a viable option, definitely,” he says, “but it has to be looked at a little differently. In fact, I don’t know if it was always looked at the right way. First of all, recruiting, for me, is much more than looking for talent. I’m looking for character. For “fit”. “What I mean by that is, over my years in America, I could instinctively tell the kids out here that shouldn’t be, and others, like myself, that should. And it wasn’t all to do with running, but education, cultural exposure, making a new start. It used to be that Irish distance runners were recruited on talent alone, why so many American coaches recruited here in the first place. These days they don’t have to look as far: American distance running is booming, and suddenly the Irish talent doesn’t look nearly as exciting, even for a coach with such strong Irish affiliation as O’Sullivan. “Running has exploded in America. Take this indoor season. If a college kid wasn’t running under 4:01 in the mile he wouldn’t make the top-40. Or 13:57 for 5,000 metres didn’t score at the NCAAs. It’s phenomenal. That comes down to coaching, which is far better now than it’s ever been in America, starting at high school level. The internet age has brought it all together too, in that all the information is out there in the arena, and accessible. When O’Sullivan left for Villanova in 1980 it was the only option, in more ways than one. He’d left school and was already working in Cork, and the offer of a scholarship wouldn’t just better his running career, but his entire life. 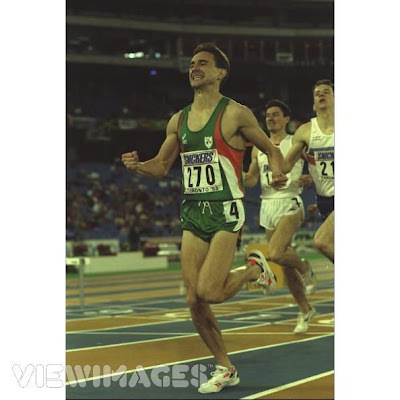 And he maximised it, building a brilliant career that included three World Indoor titles over 1,500 metres, four Olympics, six Wannamaker Mile titles, and his favourite of all: 100 sub-four miles, a figure only three men in history have achieved. The bottom line, however, is whether Irish athletes are still good enough to make it in America, given standards here have fallen back, or at least the depth has: “Well I think it has, yes. Having said that, I know there are coaches here doing a terrific job. When I sit down to talk with them, about the technical aspects of coaching, they’re bang on. At the same time, I think the volunteering element is not as strong as it used to be. “But I’ve been home this week, and all I’ve been hearing on the radio is rugby, soccer. Cricket even. There is a lot of sporting activity going on here, and athletics is not emphasised like it was 20 years ago. That’s not just an Irish thing. “And I wouldn’t say kids here have gotten soft. Youngsters today have so much more going on in their lives, everywhere, America included of course. Mobile phones, iPods. It’s great stimulus, don’t get me wrong. “But I think our energies have been somewhat diluted. The space between where you are, and where you want to go, I call that the ‘gap of motivation’. It’s what you fill that space with that gets you to the end result. We didn’t have much in that gap, say 20 years ago. So nearly all our drive and energy went into running. He turns 50 this year, and although O’Sullivan admits he’s still learning – “the longer I’m in this game, the more I realise how little I know” – it’s hard to tell if another champion Irish distance runner will come out of Villanova. I’ll check in with him again in a few years, if I’m still in the business myself.